What’s it like there now? The Love Square team is excited to announce that the planning application has been approved by Sheffield City Council, and the creation of our urban pocket park, designed by staff and students from the The University of Sheffield's Landscape Architecture Department, and developed by Urbo, is underway! The work is on site is being undertaken by N. T. Killingley Ltd., contracted by Urbo, and is making good progress. Love Square will be a new type of urban nature park that is colourful, exciting, beautiful and full of interest throughout the year. Located at West Bar on the site of a former bus and tram interchange, Love Square is just a few moments walk from Sheffield’s city centre. Featuring a community café made from a converted shipping container, colourful wildflower meadows, lawns, a mini wetland, and lined with a woodland edge of bird-friendly trees, Love Square will be a colourful community space bringing social and economic benefits to a neglected part of the city. The project is being coordinated by the University of Sheffield, working closely with Sheffield City Council and a range of local community groups. Led by Professor Nigel Dunnett of the University’s Department of Landscape, who was responsible for the renowned wild flower meadow landscapes of London’s Queen Elizabeth Olympic Park, Love Square will bring that Olympic spirit back to Sheffield. But Love Square isn’t just for Sheffield. We want to lead the way across the country so that we do at Love Square can point the direction for a new way to transform the city for people and for nature. What would Love Square bring to Sheffield? Love Square is in the Riverside District of Sheffield, the former historical and industrial heartland of the city, very close to the location of Sheffield Castle and the original birthplace of the city. Love Square is named after the adjacent Love Street, which itself is named after a former local industrialist. In the 20th Century, the area was a thriving community and one of the main entertainment areas of the city, with theatres, a music hall and cinema, all within living memory. A bus station and tram interchange occupied the site until the 1980s. However, in the later 20th Century, the former communities disappeared along with the decline of Sheffield’s heavy industry, and the whole riverside district became an empty and forgotten part of the city. Following the closure of the transport interchange, the site fell into dereliction and neglect. More recently, in the 1990s and 2000s, there has been a resurgence of new businesses and residential communities in the area, but Love Square remains a derelict and abandoned site, just a few minutes walk from the main shopping, commercial and cultural areas of the city. Love Square is highly visible and very accessible to the city centre, with large numbers of people walking by it, and walking through it, throughout the day. But that’s all it is at present; a walk-through and walk-by, with no function or use, and no opportunity for people to engage with the surroundings. It feels neglected, ignored and un-loved. The site is very overgrown and unkempt: not what people want to see in this part of the city. However, it is a great refuge for birds, bees, butterflies and other wildlife. We want to keep the best of this, but to make it a ‘go-to’ place, rather than a ‘go-through’ place. Love Square will be an inspirational example of a new type of ‘smart’ urban eco-park, combining nature and wildlife with artworks, social and activity spaces, and a beautiful year-round environment for people, using wildflowers and native plants throughout in exciting ways. The project will transform this eyesore plot into a thriving hub at the heart of the community. Featuring a community café made from a converted shipping container (complete with wildflower green roof), colourful wildflower meadows, lawns, a mini wetland, and lined with a woodland edge of bird-friendly trees, Love Square will be a vibrant community space bringing social and economic benefits to a neglected part of the city. Through the development of a strong and creative design, the use of modern materials, and the inclusion of plenty of spaces for people to use, Love Square will show a new way forward in bringing people and nature together in the city. It’s not all about nature and wildlife: Love Square will do so many other things. It will be a beautiful and relaxing space in the urban environment, with all the health and well-being benefits that this brings to local people. It will soak up extra rainfall after a storm, helping to reduce the danger of flooding, and it will contribute to creating clean and healthy air in the middle of the city. In addition, Love Square will be a valuable training and learning resource with a strong legacy, enabling young people from many backgrounds to interact, and to develop, make and maintain a new garden. The Grow Wild modules will create mini wildflower gardens that can be maintained by individuals and groups, and are one of the main features of the site. Larger modules can grow trees. Because this is a sloping site, the modules are an important part of how the different level areas and spaces will be created. These modules are very colourful, and some will be used as benches and seats. The community café is made from a converted shipping container and has a wildflower meadow green roof and native climbers on steel trellis wires. The café is very visible from road frontage, but also from the top of Snig Hill and the city centre, and has lots of outdoor seating space around it amongst the wildflowers. Wildflower meadows will form the ‘glue’ that holds the whole site together. Our Sheffield-style meadows of native wildflowers are flower-rich, colourful and flower for months on end, hugely attractive to people, and a fantastic urban resource for pollinating insects. Using wildflowers in creative combinations, the wildflower gardens will be beautiful throughout the year, and a real inspiration for what is possible using native plants alone. Love Square will take rain water that runs off from the surrounding road and pavement, as well as the GROW WILD cafe kiosk, and feed it through a winding runnel into the rain garden. The site is lined with bird-friendly trees with year-round interest in large GROW WILD modules, placed all along the boundary of the site, at entrances, in small groves within the site, and to create shelter and enclosure. The trees are underplanted with native woodland edge and woodland wildflowers. We will use all the hard surfaces and paved areas as opportunities for introducing wildflowers and more nature. The edges of the paved areas, and the gaps between flags will contain wildflowers and plants it will become a new destination in its own right, a ‘go-to’ place for the people of Sheffield, with its vibrant café and outdoor spaces amongst the flowers. Also short grass flowering lawn areas will be great for relaxing and sunbathing and will be full of jewel-like wildflowers and bulbs for earlier in the year. 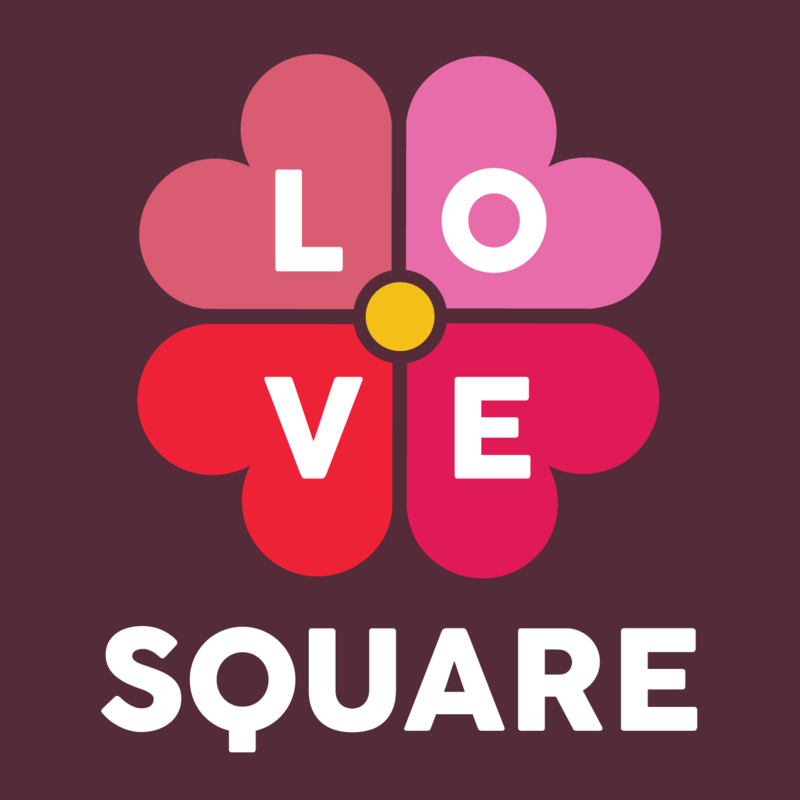 SCC is responsible for ensuring that Love Square will integrate properly into the surrounding area, for inputting design advice and guidance into the plan for Love Square, and for helping to gain planning permission for the project. The RBDA is the umbrella organisation of all the businesses and community organisations in the surrounding area. It will input into design development for the project, and engage with businesses to come together and dedicate time and resources to the project and to support volunteers to help maintain the park. CADS provides workshops, studio space and facilities for creating and making artworks and structures for the site, and coordinates a network of young and independent artists for creative works & events related to the site. Great Places is a social landlord providing affordable, social and supported housing in deprived areas across the city of Sheffield, owning and managing around 2000 properties and associated public green spaces in the city. They are working to connect green “stepping stone” parks and incidental spaces to improve access and routes from the city centre. They will make Love Square their city centre link in the network. Love Square will be a beautiful year-round city nature garden, full of flowers that will bring joy to people and create an abundance of nectar and pollen for our essential bees and butterflies and other pollinating insects, as well as seeds and food for birds in the hungry months of the year. The partners for the Love Square project recently met at the site to discuss the many potential benefits of the project for Sheffield – and to encourage people to get voting for Love Square before the competition closes on 4th November. The Department of Landscape, through Professors Nigel Dunnett and James Hitchmough, at the University of Sheffield has pioneered sustainable approaches to garden and landscape planting which are visually very beautiful and dramatic throughout the year, and which are also very good for wildlife. In 2014, they are supporting the creation of one inspirational flagship site in England: selecting a project that will benefit local people and wildlife, but which has to the potential to inspire people in other communities to do something similar: encouraging people to care for and delight in the nature around them. Love Square, Sheffield, is one of only five projects across the country that have been shortlisted to receive the Grow Wild National Flagship Site for England award.